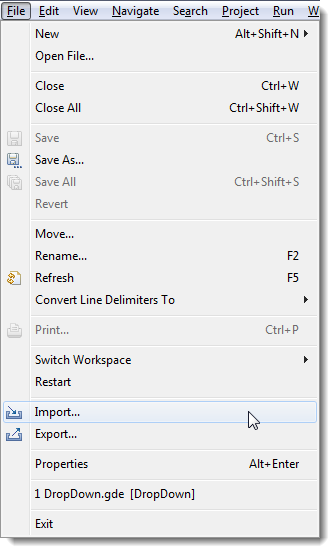 Right click within the Navigator view or left click File from the top menu and select Import. Next you will be presented with the Import Selection dialogue. Expand General by clicking on the triangle to the left of the folder. 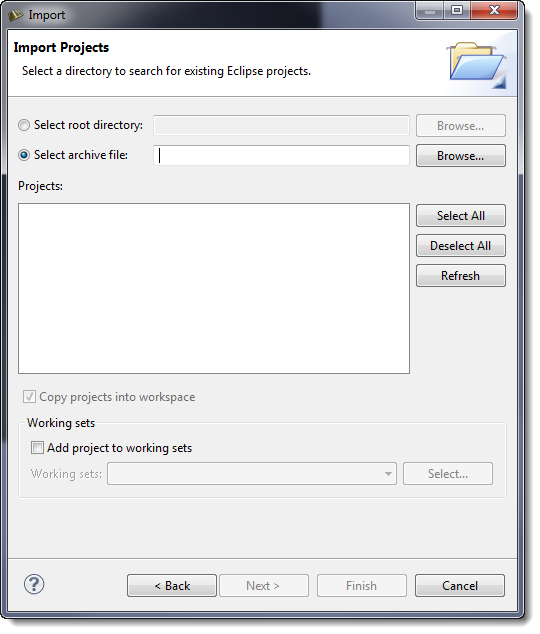 Select Existing Projects into Workspace and then click Next. 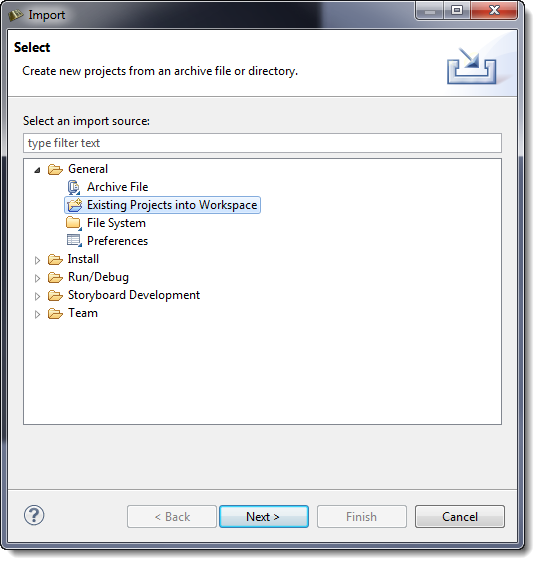 Check the Select archive file: radio button and then Browse to the Storyboard Project Archive. 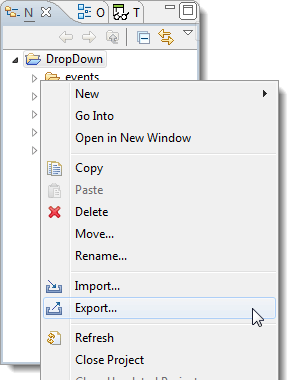 Click Finish to import the archive into your workspace.